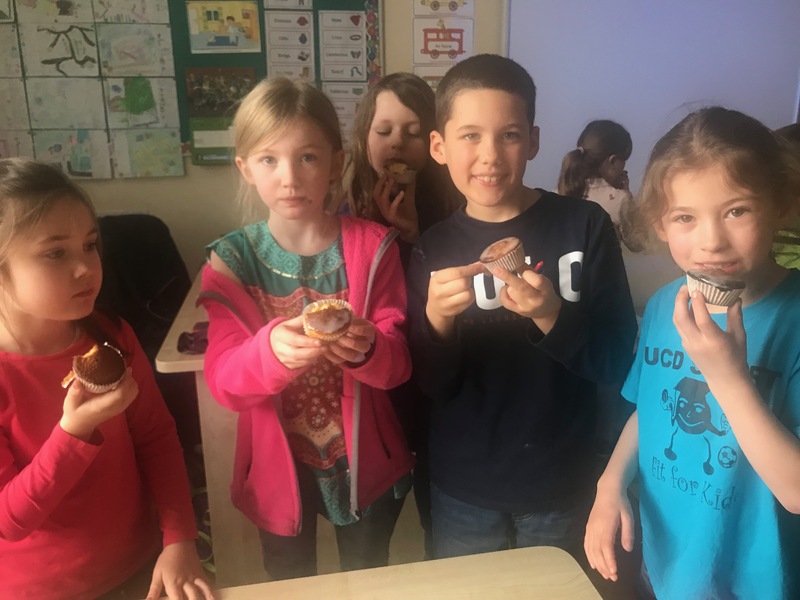 Last month, First Class were learning all about weight so what better way to test out our knowledge and skills than baking cupcakes?! In groups, we weighed out the butter and sugar, before mixing it together in the mixing bowl. Next we carefully cracked the eggs into the bowl, making sure no shell went in to the mixture (imagine crunching on eggshell in your cupcake! Ew!). When we had mixed the eggs with the butter and sugar, we weighed the self-raising flour were and gently mixed it in to the batter. This helped our buns to rise and be lovely and fluffy when they were cooked. We then placed the mixture into bun cases on a baking tray, before putting them into the oven for 20 minutes. When they turned golden-brown, we took them out and got to make yummy icing to decorate our buns. The best bit was definitely getting to taste our iced buns. They were absolutely delicious!